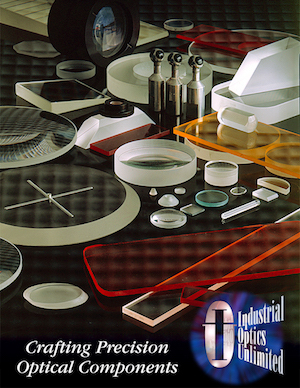 Industrial Optics can provide thin film coated filters or color filter glass in round, square or rectangular configurations. Hoya and Schott color filter glass are used to transmit and block certain specific spectral ranges in the ultraviolet, visible and infrared for a variety of industrial uses. These color filter glasses offer a lower cost alternative to thin film coated filters. They can be used as band pass, long pass, short pass or neutral density filters depending on the application. Thin film coated filters offer a sharper cut-on and cut-off than colored filter glass. We work with several of the leading filter glass coating companies and stand behind every coating job as if it were done in house. Industrial Optics can support your custom filter glass requirements at a competitive savings to standard catalog pricing while providing great quality and exceptional customer service.